Not all news is bad news – though a lot is! When President Obama refused to veto UN Security Council Resolution 2334 condemning the settlements, this ensured that it passed, with all other member states (including Britain) voting in favour. 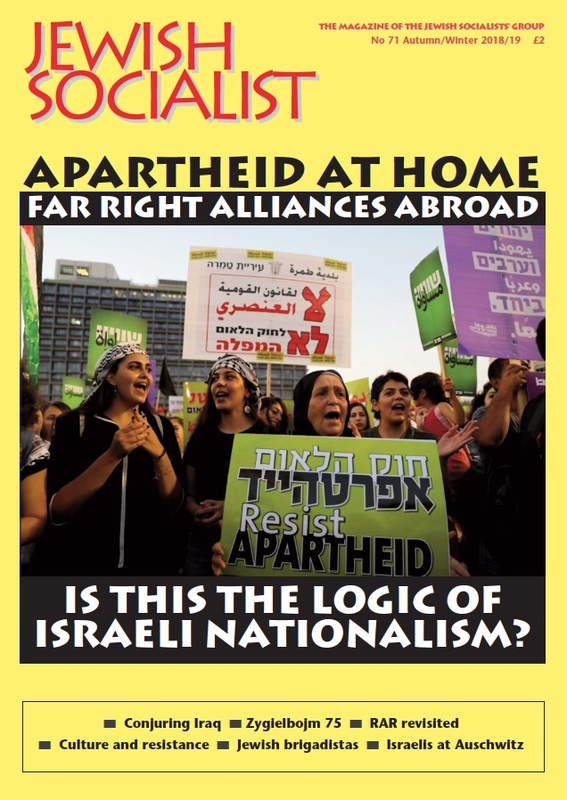 We know that a majority of Jews in Britain, especially many young Jews, are also deeply critical of Israel's occupation, and alienated from the slavish support of everything Israel does by the Board of Deputies and other communal institutions. Together with Jews for Justice for Palestinians, we have produced the statement below supporting the UN Resolution in order to give this Jewish majority the confidence to speak out publicly for what they know to be right. We, together with the JFJFP and Independent Jewish Voices, propose to place it as a half-page advertisement in the Jewish Chronicle on 3rd February 2017, with as many signatures as we can gather. We hope you will want to add your name, whether or not you are able to contribute to the cost of the advert. If you can afford it, we hope you will be able to pledge £15; if that is not possible, you can contribute less or nothing at all. Your supporting signature is the most important thing. If you want to add your name, please email JfJfP@aol.com saying you want to sign. The deadline for adding names is Monday 30th January at 6pm but it will assist us greatly if you can let us know as soon as possible. If you use this method, please quote your surname and initial, and email JfJfP@aol.com to let us know the amount and date so we can ensure the transaction is processed correctly. Please write “Advert” on the back of the cheque. Payment does not have to be received by the deadline. Stand with the majority and end fifty years of occupation! We are Jews in Britain who support UN Security Council Resolution 2334. This confirms that the establishment of settlements "has no legal validity and constitutes a flagrant violation under international law". The resolution demands that “Israel immediately and completely cease all settlement activities in the occupied Palestinian territory”. As President Trump takes over at the White House, it becomes ever more important for Jews around the world to stand up publicly on the side of international law, common sense and justice and to welcome this UN Resolution. We know that the great majority of American Jews supported former President Obama. His refusal to veto Resolution 2334 ensured that it would pass, with the unanimous supporting vote of the other fourteen Security Council members, including Britain. And we know that the great majority of American Jews oppose Donald Trump for his racism, sexism, promotion of hatred towards Muslims, and association with white supremacists and blatant antisemites. They will also be alarmed that Trump has appointed David Friedman, a strong supporter of the settlement movement, as the next US ambassador to Israel. Here in Britain we also know - from meticulous City University research, overseen by eminent Jewish academics - that the great majority of British Jews are opposed to the settlement project. When leaders of the Board of Deputies declared their opposition to Resolution 2334, they did not speak in our name.